8 fluid oz of glove wash. 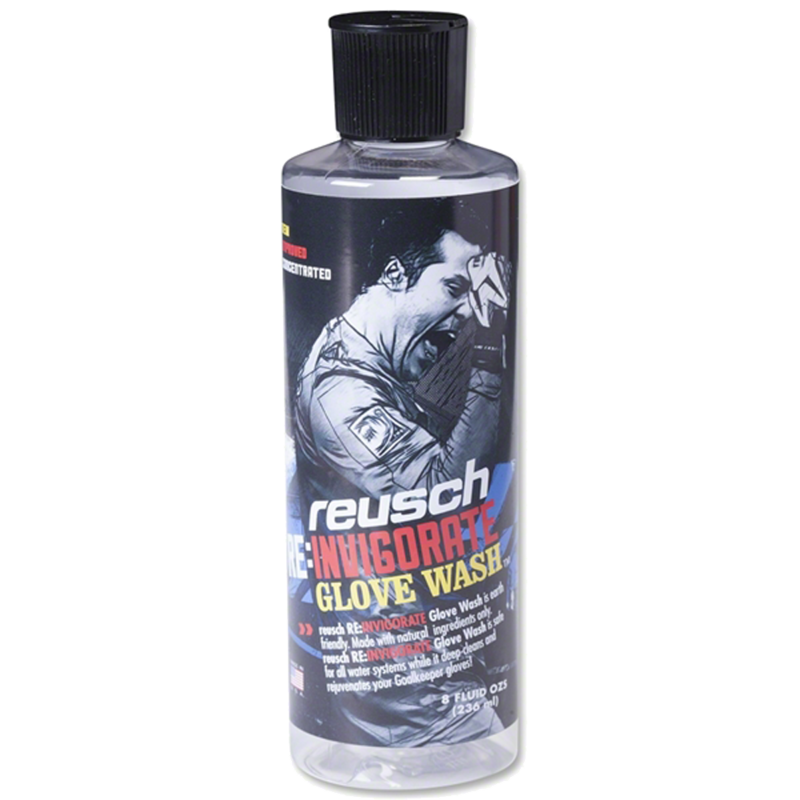 This formula is twice concentrated (as opposed to the original Reusch glove wash) which means you need only half the amount you used to use for cleaning your gloves. Made with only natural ingredients. This detergent is mild, low foaming, biodegradable, non-toxic, and contains no phosphates, chlorine bleaches or dyes that can damage foam. It has a natural scent that helps eliminate glove ordor as well. Use this glove wash in warm water in your kitchen sink. Use your hands to work the dirt and sweat out of the gloves, using the soap and water. Once clean, rinse the goalkeeper gloves with clean water and squeeze dry. Let the gloves air dry. Do not put them on a heat source, in the sun or in a machine dryer. A small dab provides enough soap to give the gloves a good cleaning and keep them odour-free. Works, removes dirt and stank, 10 yr old daughter does it herself. Great product. We have a family full of keepers & this bottle lasts us a while.